Hydrangeas are among the most popular shrubs. They are hard to beat for easy, long-lasting colour. But which colour? 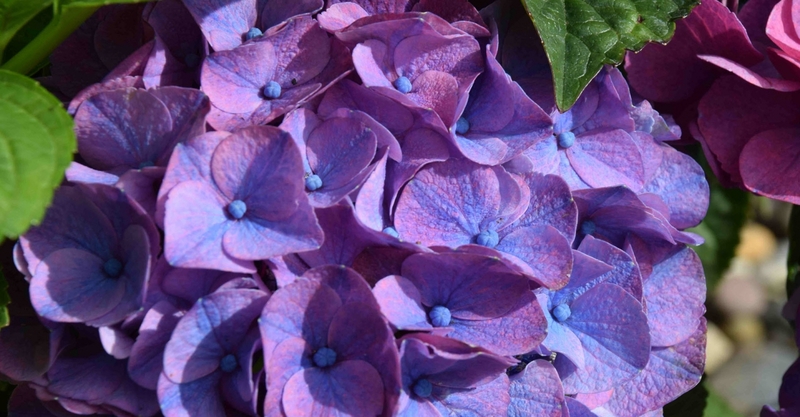 Blue and pink hydrangeas can have flowers of various colours according to the acidity of the soil. 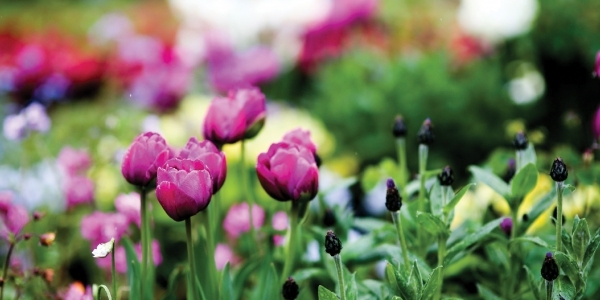 When the soil is acid, and where rhododendrons and camellias thrive, hydrangeas usually have blue flowers. The variety of hydrangea will have an effect on the colour because some are deep blue and others light blue. The same plant will have pink or red flowers if the soil is alkaline – containing too much lime to allow you to plant camellias and rhododendrons in the garden. If your soil is alkaline you can make your hydrangeas blue, or mauve, by applying hydrangea colourant to the soil. This can be bought in garden centres and it supplies the aluminium salts to the soil that the hydrangeas need to make the blue pigments. 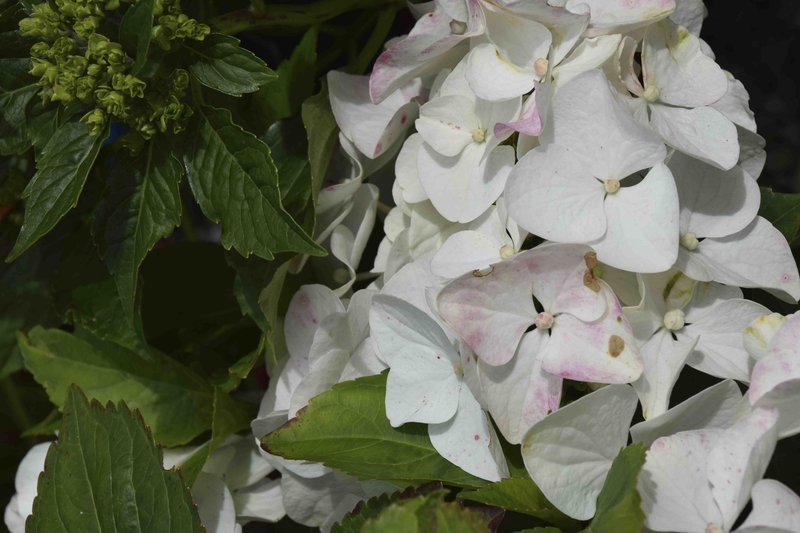 White hydrangeas will be white whatever the soil though it is best to grow them in light shade or the flowers tend to get ‘sun burn’ and change from pure white to pink or red-tinged.